June 6, 1944 By the time Brigadier General Norm Cota came ashore on Omaha Beach, the American attack was faltering. Initial assault waves had suffered hundreds of casualties. Those still alive were seasick from hours in the landing craft, and many had lost their weapons in the churning water. Cota faced the ultimate test of a combat leader: get terrified men moving to attack an entrenched and determined enemy. How Cota and countless other D-Day leaders accomplished this mission is a story about leadership that holds important lessons for business leaders today. 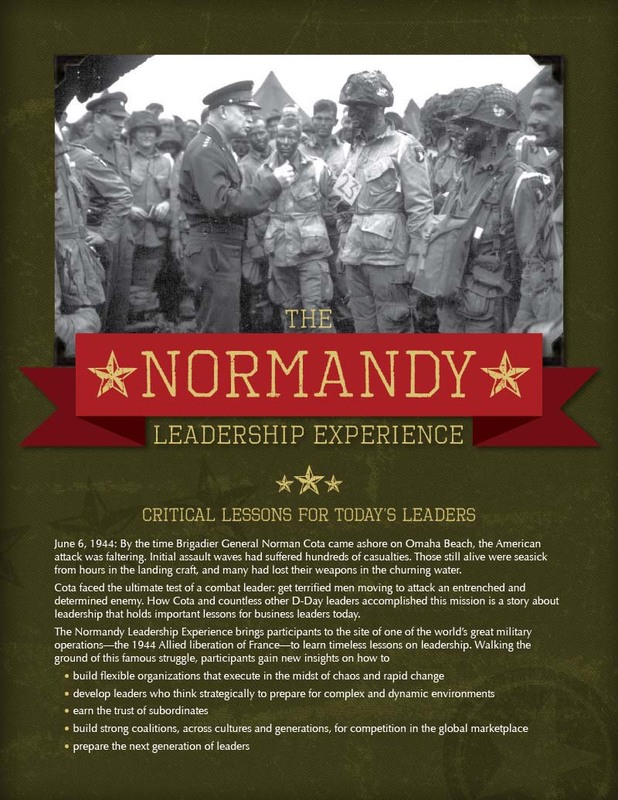 Modeled on a technique used to train U. S. Army officers in leadership and decision-making, the experience lets participants see and feel, as no history book or mere lecture can, the challenges that faced commanders in World War Two's pivotal battle in the West. 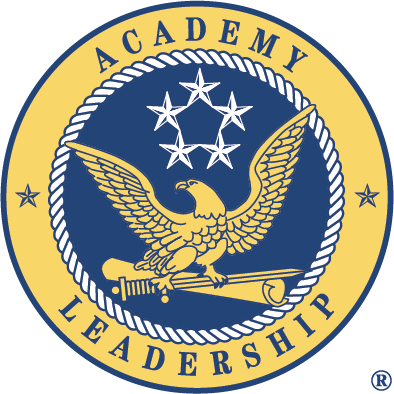 We provide the historical background and facilitate in-depth discussion to reach a deep understanding of "leadership in action." Executives leave excited about their opportunities to be better leaders and armed with battle-tested tools they can use immediately. The Allied invasion front stretched nearly fifty miles from the Orne River to the Cherbourg Peninsula and encompassed five major landing beaches. Our trip will take us to some of the key locations, including: Pegasus Bridge, where British glider troops launched one of the most critical and wildly successful surprise assaults of the battle; German defensive positions above Gold Beach; Ste. Mere Eglise, where American paratroopers seized the first town on the continent liberated by the Allies; Omaha Beach, where heavy casualties nearly derailed the invasion until junior leaders stepped up to make the difference; and the famous US military cemetery at Ste. Laurent.